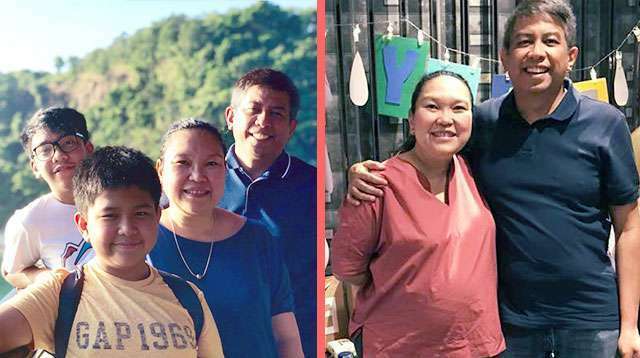 A mom in her 40s shares with us her preggy chronicles as she prepares for her baby daughter's birth. 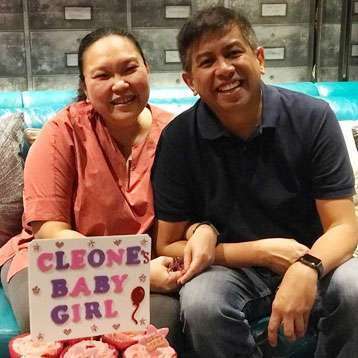 Any day now, Cleone Baradas, 44 years old and 37 weeks along, will give birth to a baby daughter. Cleone’s doctor has recommended Caesarian section (CS) because she has high blood pressure and gestational diabetes. She has a 16-year, Joshua, who was delivered with the help of Lamaze, and Jaden, 13, who was born via an emergency CS. Cleone carried them for 39 weeks. She is praying hard it will be the same for her third baby. These are her preggy chronicles. My menstrual cycle is very regular so I thought was headed for menopause when I didn't get my period. I was experiencing hot flashes, and I would sometimes have high blood pressure. I was given a diet to follow and told to exercise. So I started running. I was feeling lethargic, though, the opposite of how I usually was, full of energy and always up and about. My breasts were bigger and felt heavier. I felt the same symptoms when I was pregnant with my boys. So, in July 2017, the second month when I missed my period again, I decided to take a home pregnancy test. It came out positive. The next day, I made an appointment with the doctor, and the results confirmed it: I was 10 weeks pregnant! The immediate thought that came to mind: "I was old to have a child." And it was the exact sentiment my husband, Jonas, felt when I told him about the pregnancy, the ultrasound result in my hand. He said he did not expect that we would have another child. Well, same here. We immediately told the boys who were incredulous as well. My youngest thought the pregnancy announcement was just a joke. Another unexpected moment: We are having a girl! I've always felt special as the lone female in the family. I've had thoughts though of how cute it would have been to have a girl who could play dress-up with me. We've always wanted to have a girl after my second son was born, but it would also have been financially challenging, which is ironic given my situation now. 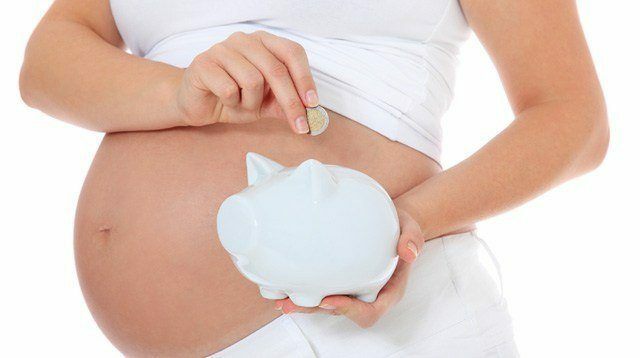 The financial implications of my pregnancy are not lost on us. The cost of having a baby is higher now than when I had my two boys. Because of my age, we are spending more when it comes to medical bills. 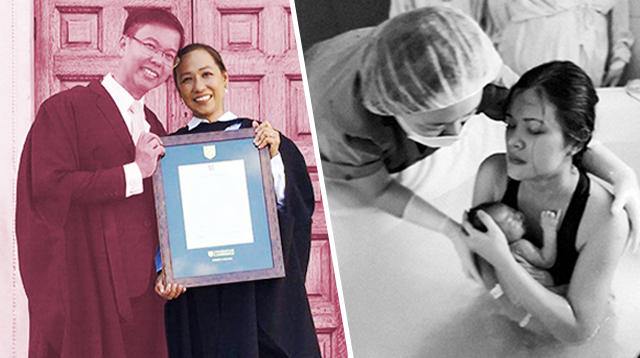 At 14 weeks, I had to undergo prenatal tests to determine any risks of Down Syndrome and other conditions. Then there are my health complications that includes preeclampsia. In the first trimester, I felt weaker and my hips hurt, it was as if I was feeling early contractions. Then, my baby was too small, and I was advised to eat more. I needed to stick to the meal plan the dietician gave me to make sure the baby would get enough nutrients to develop her organs. In my second semester, I was even more diligent in following the doctor's orders. They said my baby could be in danger if my blood pressure or sugar shoots up, so I monitored my blood pressure religiously. I had to give up sweets altogether. I had to have saltine if I wanted crackers, wheat bread instead of white bread, and minimal noodles, pasta, and rice, and I had to follow portion control, of course. It has paid off — I did not have to get insulin throughout my pregnancy. Aside from strictly following everything my doctor prescribed, I took on work that I could do from home to avoid any stress that could endanger the baby. I used to be so strong with my first two babies. I knew when it was time for childbirth. In fact, I drove myself to the hospital when I was ready to have them! I also had short periods of labor for my sons. Now my fervent wish is I can carry my baby girl to full term, and she is healthy. We didn’t immediately announce my pregnancy because there was always a risk that I could not carry the baby to full term. After the first trimester, we told close friends and family only, but we didn't tell my mother, who is in her 70s. We told her when I was in my third trimester because we did not want to worry her. 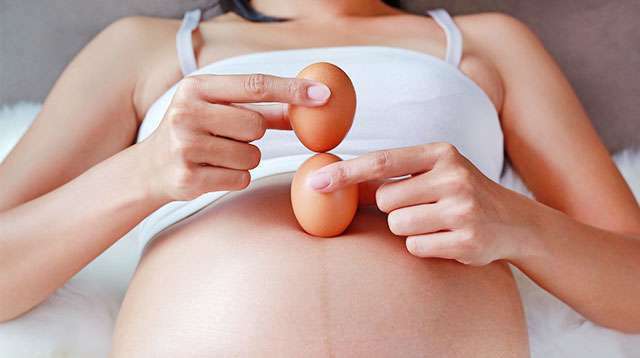 Even now, she is afraid because she knows the complications and risks of late pregnancy. I don't blame my mother for worrying. I have a lot of conflicting emotions with this pregnancy. I am happy, but I can't always keep the anxiety at bay. You always hear unfortunate things about pregnancies when you're above 40. If I am afraid, however, my family will be depressed, and I don’t want that. I keep telling myself: I don’t need to fear something that has not happened yet. 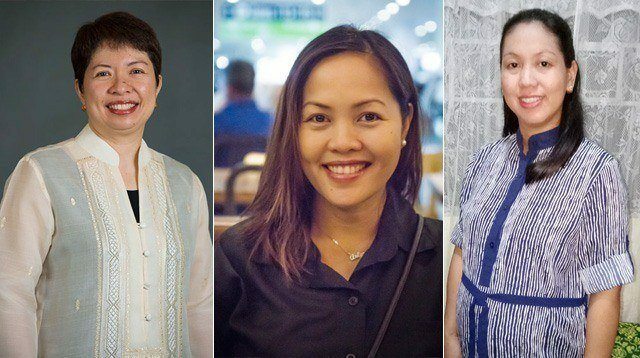 Noon, nakaya ko, bakit hindi ngayon? My family and I just need to keep the faith.